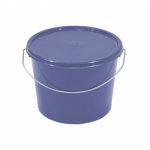 This high quality 20 litre plastic container boasts a sturdy, metal fastening band that helps retain and secure the lid. 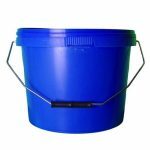 This makes the bucket ideal for shipping products by courier with the secure lid preventing spillage and wastage should the container fall over in transit. 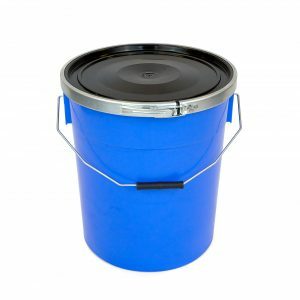 Having supplied this excellent container with metal fastening clasp to a building company for 8 years, we decided to make it available online to everyone. Ideal for transporting liquids with peace of mind. It boasts a capacity of 22 litres and can be manufactured in in a wide range of colours, enabling colour coding to for referencing the goods stored within. 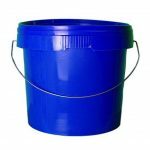 Compared to metal containers of similar spec, it is competitively priced and of equivalent strength. 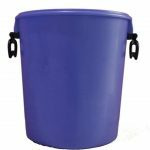 The main container is manufactured from high impact polypropylene and the metal locking band is constructed from galvanised steel. Perfect those needing to move containers of paint or similar chemicals. We can ship in pallets of 180. Other quantities may be available upon request – call 0151 639 0002.